The multifaceted city of Tallinn is a cosy home to more than a third of all Estonians. 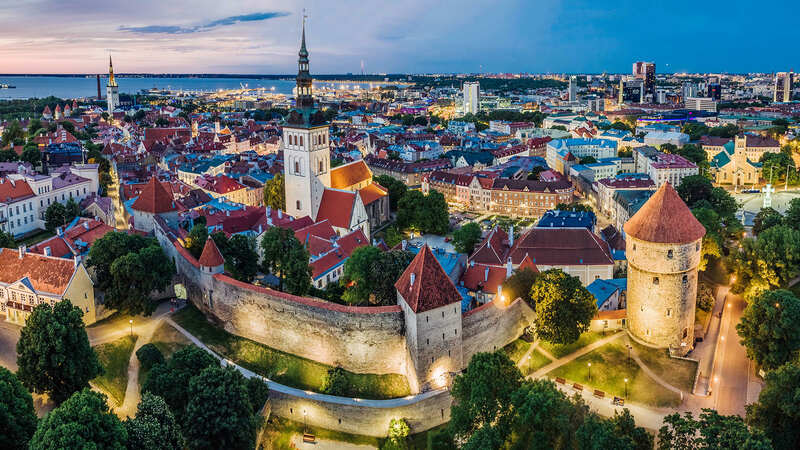 With 443 000 habitants, the Estonian capital is divided into eight diverse districts and 84 smaller subdistricts that all have a heartbeat of their own. Here you will find a medieval old town, a business district with its high-rise buildings, romantic wooden architecture, green districts full of gardens, historic industrial areas, and beautiful parks and forested areas. The multifaceted city of Tallinn is a cosy home to more than a third of all Estonians. With 443 000 habitants, the Estonian capital is divided into eight diverse districts and 84 smaller subdistricts that all have a heartbeat of their own. Here you will find a medieval old town, a business district with its high-rise buildings, romantic wooden architecture, green districts full of gardens, historic industrial areas, and beautiful parks and forested areas. The numerous parks of the city are an inviting way to move and spend leisure time, and the 46 kilometres of coastline is dotted with sunny, sandy beaches and romantic yachting ports. Foodies also find Tallinn to be a tasteful place, with unique restaurants in every district. So the charm of Tallinn lies in the fact that even though it is one city, anyone can find a suitable living environment here. Do you enjoy the bustle of city life or suburban bliss instead? The YIT selection includes exclusive homes in the city centre, in and around Toompea, on the distinguished Jakobsoni street, and seaside apartments in trendy Kalamaja. We’ve also developed a new, calm and modern living environment in the green area on the border of Mustamäe and Nõmme. The gardens of Kristiine are right next to the city centre, while spacious family apartments in Kakumäe are right on the beach. Whether it’s a functional studio or a spacious family apartment, the homes developed by YIT are planned down to the smallest detail and are energy efficient. For us, a modern home also means beautiful landscaping, a safe courtyard with space for leisure time and children’s playgrounds. The homes we’ve built value their surroundings, so that you could enjoy your morning coffee in your new home. Tell us, what is your dream home like?